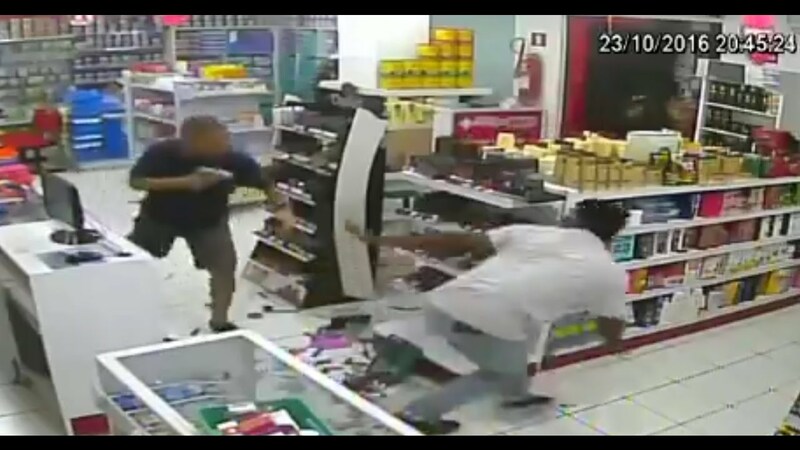 This CCTV footage is reportedly from Brazil and shows what appears to be an off-duty cop fighting off two “armed” robbers. The video description says that the guns they had were fake, and this seems likely since they point their weapons but never fire them. While the final outcome is that no innocent people are hurt, and the robber was stopped, there are lessons we can learn about what to do and what not to do from this video. While watching, look for these things. The officer is in the upper right-hand corner, with a woman who is probably his wife given that she risks her life to try to help later. The officer does the right thing as the robbery starts, he feigns compliance, waits for his wife to be out of the way, and when one of the robbers turns away he quickly draws from concealment and puts the gun to the back of his head. At 44 seconds in, everyone involved gets lucky. The officer is lucky the robber’s gun is fake, and the robber is lucky the officer doesn’t know the difference between cover and concealment. The two are only separated by a cardboard display and yet the officer doesn’t fire even one shot. The would-be robber gets lucky again at 50 seconds when the officer attempts to shoot him despite his hands being up and his gun on the ground. The officer appears to either not have chambered a round, or to have experienced a malfunction. Always carry a round in chamber, and know how to perform remedial action without looking at the firearm. At 58 seconds in they get into a scuffle since the robber sees the officer can’t fire his gun, then the gun goes off as they fight. As they fight, the officer’s wife comes back in and actually puts her hands on the robber while they are fighting for a loaded gun, but she doesn’t choke him or hit him. If you are going to get involved, then get involved like your life and your loved one’s life depend on it. She offered no real help and only put herself in grave danger. At 1:33 the officer manages to get free of the robber, but can still be seen trying to chamber a round, and looking at his firearm while doing it. 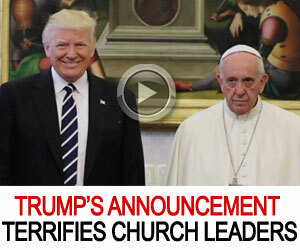 Luckily nobody died as a result of all the poor choices made in the video. In their defense, I’m sure this was a highly stressful scenario to be involved in, but that is why you need to train now, so that you can function off of memory and mitigate the effects of stress if you put in a position like this, because people aren’t always this lucky.